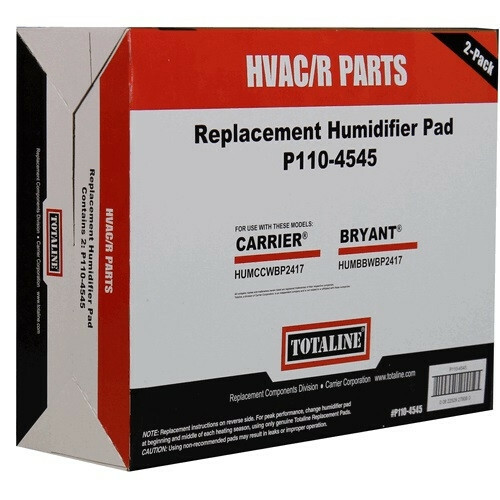 Carrier, Bryant, & Payne - Totaline P110-4545 Water Saver Water Panel This genuine Totaline P110-4545 humidifier water panel is a replacement panel for Totaline P110-SBP2212. P110-SBP2312, P110-SB2412 humidifiers. Totaline recommends that this water panel be replaced once every 6 months to ensure the best performance possible. If you have any questions Click Here to contact our Sales Department or call 1-888-623-4678.